We are a coveted preparer and of an optimum quality gamut of SS Bus Stop Shelter. Established in the 2015, we A.J. 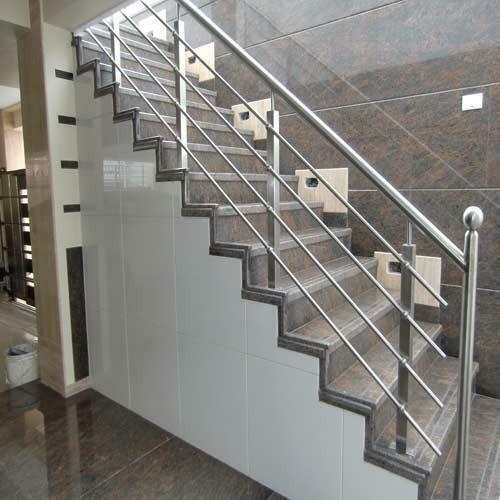 Enterprises are the renowned manufacturer of a qualitative range of Stainless Steel Railing, Stainless Steel Gate, Stainless Steel Door, Stainless Steel Bus Shelter etc. We are the manufacturer of Stainless Steel Railing, Stainless Steel Gate, Stainless Steel Door, Stainless Steel Bus Shelter, Stainless Steel Canopy etc.